Our family attended a lovely wedding recently. 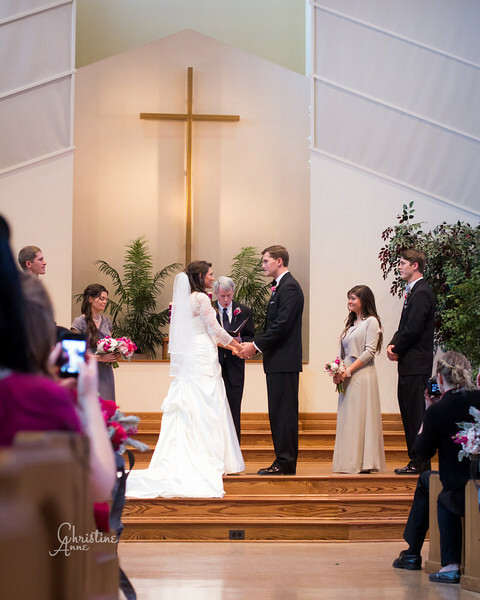 Oh, but aren't all weddings just lovely? Everyone dressed beautifully, ready for a celebration, and a couple ready to start a momentous and exciting lifelong journey together! I usually bring my camera to events; I never know what art I might create! 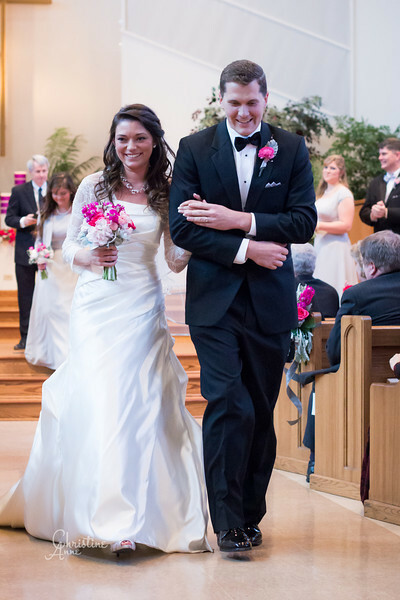 For weddings, I love being able to shoot as a photojournalist--in a style of What does a guest see? 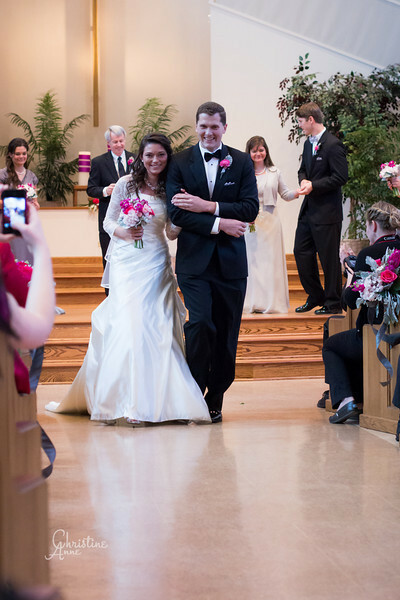 Here are a few lovelies I captured on this special day of celebration. 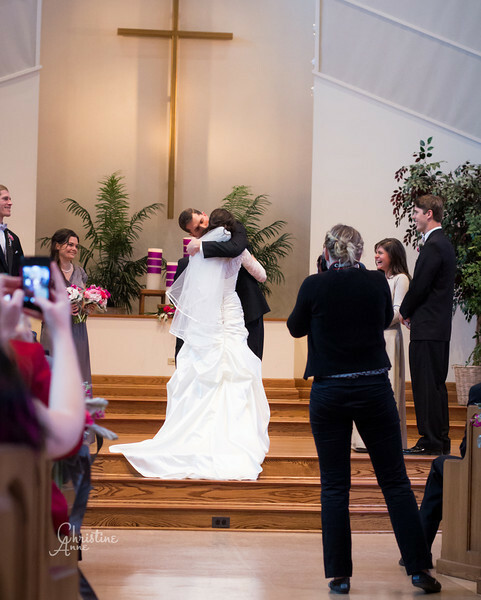 Even as a guest, there's an air of excitement that stirs when you see the sanctuary doors open and the bridesmaids and groomsmen walk in, pair by pair, followed by the best man and matron (in this case) of honor. See the darling children below? 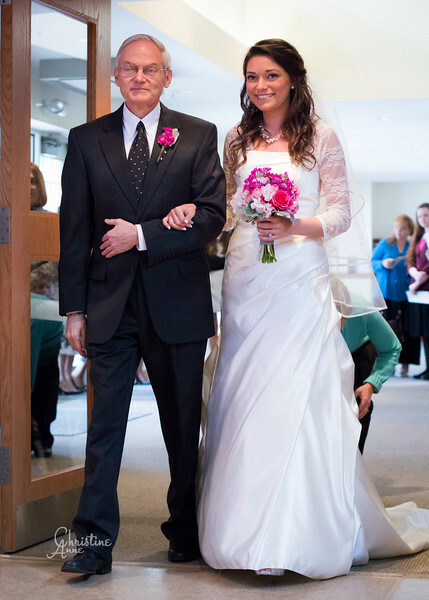 Sure, no one in the image is smiling, but it is my favorite shot from the day. 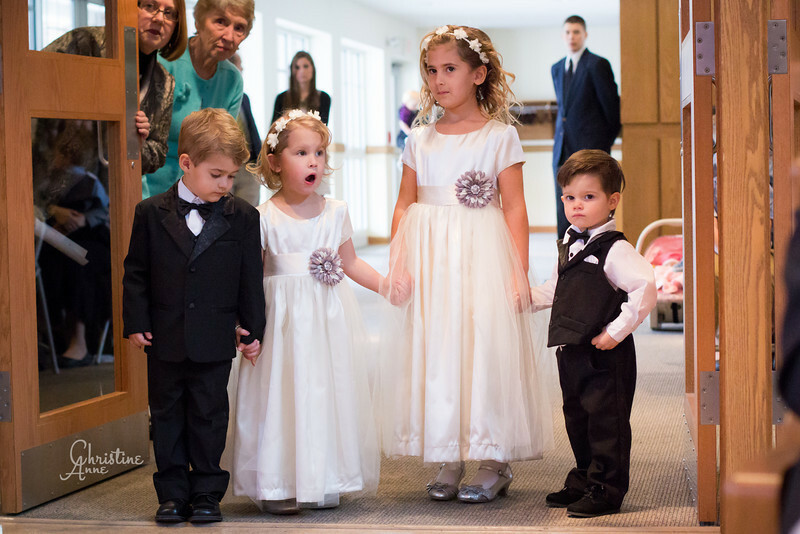 The four of them were lined up, ready to walk down the aisle as flower girls and ring bearers, all holding hands and waiting their cue. And look at those two ladies, peeking in to make sure the children would start their walk at just the right moment. 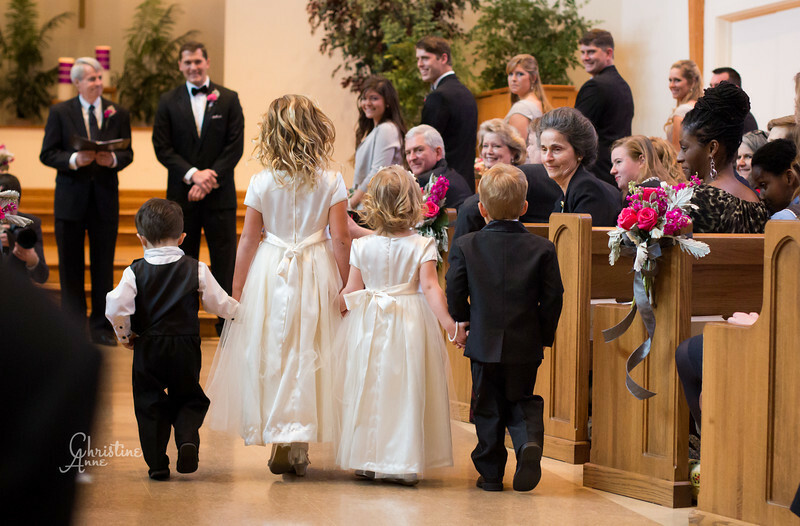 So precious, and trust me--every single person in the sanctuary was smiling as these precious little ones made their way toward the altar! 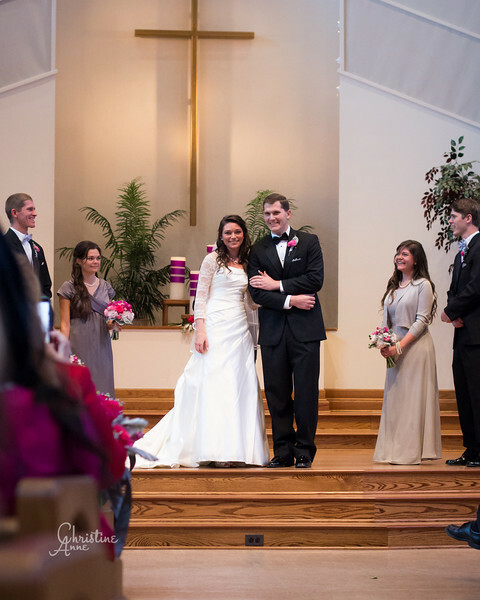 The stunning bride and handsome groom created such an atmosphere of joy and celebration! 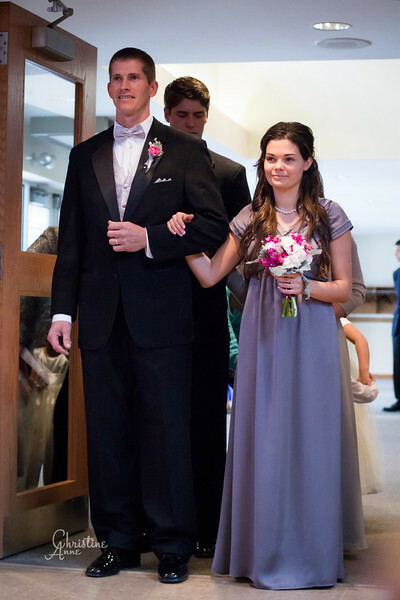 And there are those children again, minus the littlest ring bearer who was in his mommy's care. 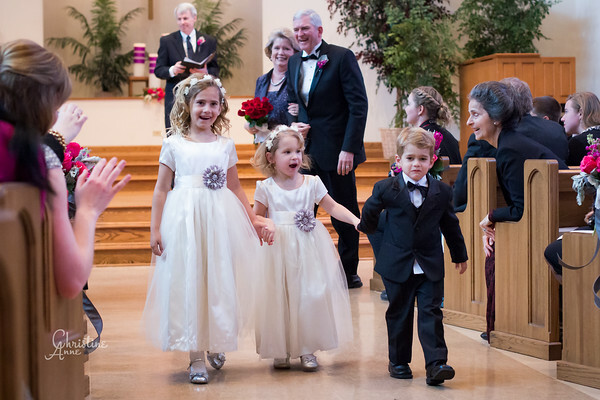 The flower girls were showing their excitement, but that little guy--oh, how precious! He was crying as he made his way to the back. So cute! Freedom to take whatever pictures I like! Dressing up and feeling beautiful! 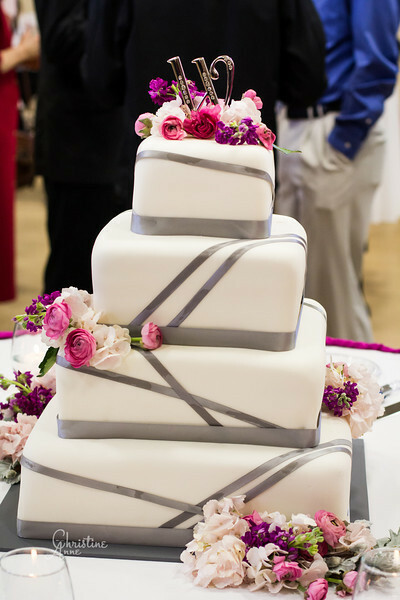 Celebrating with everyone without expectations! Taking pictures of my own family and friends!